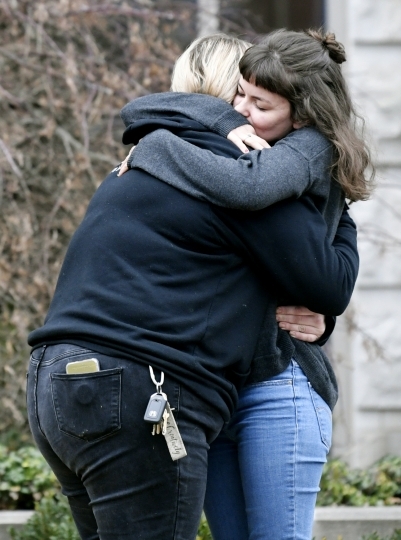 NASHVILLE, Tenn. — Family and friends gathered Monday to memorialize a young Nashville musician who was shot to death outside his home last week. Five youths ages 12 to 16 have been charged with criminal homicide in the death of 24-year-old Kyle Yorlets. But on Monday, those who knew him focused on the man rather than the tragic circumstances of his death. Friends and family spoke of Yorlets' wit, musical talent and easy way of making others feel he truly cared about their struggles. Michael Wiebell is the bassist for Yorlets' band, Carverton. He said in an interview before the memorial that since Yorlets' death, they have heard from a number of people who were helped by him. "One fan of ours had a problem with self-harm. Kyle would message her throughout the year. She posted that she was one-year free, and he was just gushing," Wiebell said. "When I stopped drinking, every week he'd tell me how proud he was of me. He had a just really intense love you don't find very often," he said. 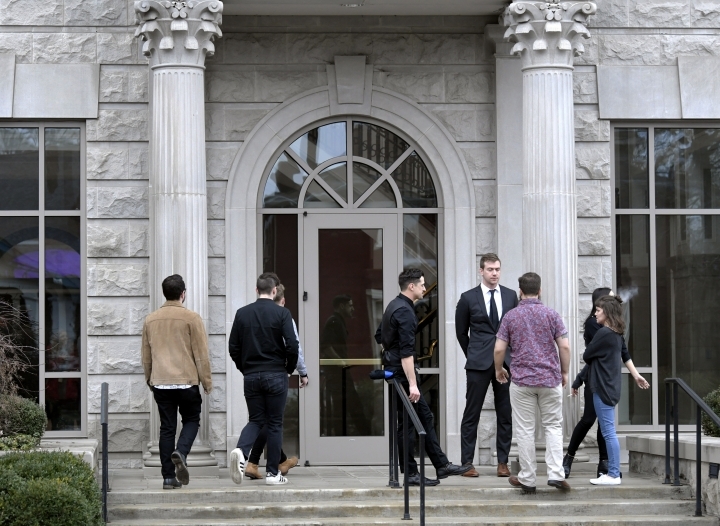 The memorial service was held at a packed chapel on the campus of Belmont University, Yorlets' alma mater. The school is best known for its music and music business programs. Dwayne O'Brien, who was Yorlets' music business instructor, spoke of the pleasure he took in watching Yorlets grow from someone with obvious raw talent to a disciplined professional. O'Brien said Yorlets sent him an email not two weeks ago about the band's first full-length album, which was scheduled to be released next month. "He finally felt that he was on his way," O'Brien said. "And as soon as I heard the music, I agreed." Bandmate Michael Curry, speaking before the service, called Yorlets "a very good singer and an excellent guitarist." He also described Yorlets as "relaxed, confident, self-assured and hilarious." 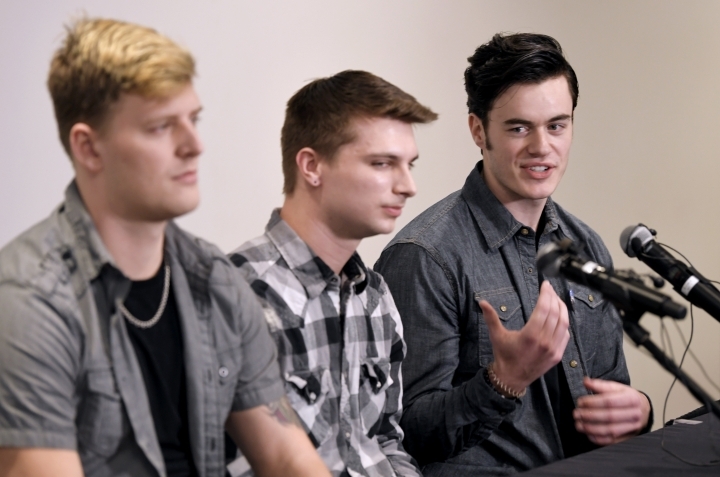 In a video played during the memorial service, Wiebell said when he first spoke to Yorlets about joining Carverton, Wiebell was still in another band and did not want them to know about the meeting. So Yorlets and bandmate Christian Ferguson showed up at Wiebell's concert wearing ridiculous fake mustaches. Asked about the future of the band, Curry said they still want to release their album "Chasing Sounds." "It will come out," he said. "We just have to figure out how." Yorlets was fatally shot Thursday. Nashville Police said in a statement that five youths were in a stolen pickup truck in an alley behind Yorlets' home when they spotted him outside. They are accused of stealing his wallet, demanding the keys to his vehicle and shooting him when he refused.